This spotlight series highlights CIP members and how they are contributing to open source software solutions that will benefit the world’s technical systems. Today, we highlight Plat’Home in a conversation with Masato Minda, Manager of IoT Strategic Business Deployment. Plat’Home is a pioneer and leader in the open source computing industry including Linux in Japan. When the company was founded in 1993, it focused on Open Source Computing and developing and exploring the new frontier that OSS and Linux can enable. Plat’Home designs, develops and manufactures Linux Servers and Gateways since 1996, and the products are widely adopted by the Japanese Telecommunication Carriers, utility companies, power plants, and social infrastructure including smart city and building. 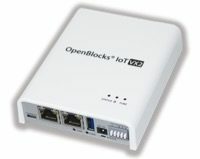 The manufacturing of Linux Microserver, “OpenBlocks”, which is specially designed for the large-scale deployment of social infrastructure. Plat’Home is trusted by the Japanese customers by our commitment for the long-term use and professional support for both hardware and software including Linux. In 2014, we launched a new type of microserver that is designed to address common IoT LAN & WAN connectivity challenges in the IoT market in various use cases, where sensors and devices are embedded ubiquitously in social infrastructure and used long term. Plat’Home is committed to meeting and exceeding customer expectation and requests. Since launch, our intention has been to make industrial-, and carrier-grade Linux that we can offer for an extended amount of time. CIP’s mission aligns with ours and will help us achieve long term support for our customers. Our products are currently used in building automation, city management, network management and so on. Under such mission critical circumstances the operating system is required to operate reliably over a long period of time. As a founding member of CIP, we collaborate with other members in the Technical Steering Committee and help determine technical policy and decisions for CIP. Additionally, we participate in several of the top-tier IoT trade shows such as the Embedded Linux Conference and Open Source Summit Japan. The current main use of our products is the IoT gateway that are used under conditions that require long-term stable operation in various locations. We believe that the CIP base layer is the best for such applications. Since Plat’Home has focused on OS, middleware and communication layers, we don’t have many resources available to cover specific vertical needs or requirements. One of the best benefits of being in CIP is that we can collaborate with companies like Hitachi, Siemens, Toshiba and Renesas on the same mission. Today, Linux is also used on many mobile phones. In the next 20 years, anything that can be connected will be connected. Linux is one of the most important pieces of computer software in devices, network and cloud. We believe it will be the same trend in civil infrastructure systems.